Not many know that children were a vital part of the Hawaiian sugar plantation work force. They were employed to do many jobs the adult workers did as well as many jobs that they didn’t. The Portuguese played an important part in providing a child labor force. Unlike Asians who migrated as individuals, the Portuguese migrated as families. Plantation owners were not blind to this. In fact, the owners were well aware of the potential future work force which is why the Portuguese were encourage to migrate as whole families. The Portuguese played into their hands by willingly migrating in family groups. In the end, the cost of uprooting entire families proved too costly. But, for about 30 years it was the accepted practice. Why Did Children Work on the Sugar Plantation? The children who came to Hawaii had opportunities for education that they never would have seen back home. They could go to school and perhaps college. They might find work within or without the plantation system. Being poor was no longer a barrier to education and future employment. That’s how it looked on paper anyway. Plantations were required to provide schooling for the children of their contracted laborers. How that was meted out was completely up to their discretion. The reality for many families was that they had too many mouths to feed and not enough money. Many families were large and in some cases one parent or both were unable to work. It may be that a widow or widower headed the family. In any case, there was a gap in the family budget. Children worked so the family could survive. All of their wages went to their parents. Boys and girls both worked in many capacities. When children worked, they could still continue with their education most of the time. The amount of schooling a child received might have depended on the flexibility of the plantation and how much money the family needed. School time was usually adjusted to fill the needs of the plantation. There were times during the year, such as the harvest, where it was more important for children to be at work, so school was not in session. As children got older they had to rely on night school if they desired to get an education. They were needed in the fields during the day. Since child labor laws were non-existent, plantations were able to manipulate the school structure to their advantage. In 1895, there was an agreement between the Hawaiian Sugar Planters Association and the Hawaii Board of Education. This agreement provided for school to be scheduled around work. School might start in the afternoon or only go up to noon. There were no laws as to how much work a child could do and many plantations employed children full time. For example, on Grove Farm in 1919, children worked along side adults during vacation and non-school days. They worked the same shift, 6am to 4:30pm. The 1940 U.S. Federal Census is the first to included the years of schooling a person received. I think you’ll find 3-4 years the standard for those Portuguese who grew up in Hawaii in the early 1900s. What work did children do on a Hawaiian plantation? Depending on many factors such as age and size, children would do a variety of jobs. Some of those jobs were the same as adults. We’re talking boys and girls, by the way. I had the opportunity to interview an elderly relative who grew up on the Kilauea Sugar Plantation in the 1930s. She told me that when she came of school age she worked in the fields as a rodent catcher. According to her, most of the children would run through the fields catching rats and other rodents. They were paid by the tail. All hands were needed at harvest time–and that included children. Everyone’s survival depended on bringing in the harvest. It’s hard to say just how many children were working and at what age. Many of school age were not noted as working in the 1900 U.S. Census. Perhaps their employment was not seen as comparable to that of adults and was overlooked.. One study was done in 1920 and it stated that 3% of the workforce was children. 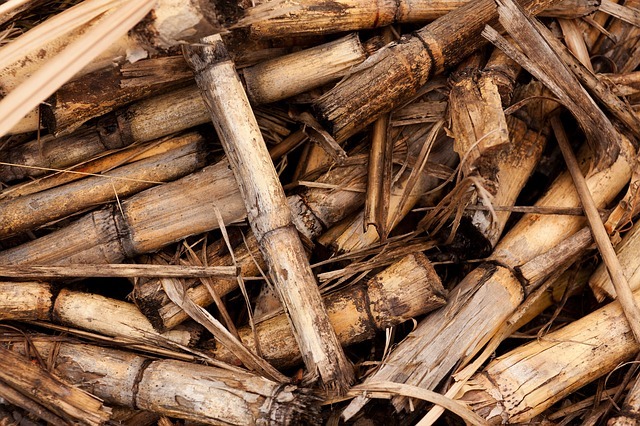 there is indeed plenty of evidence of children’s work in sugar plantations. 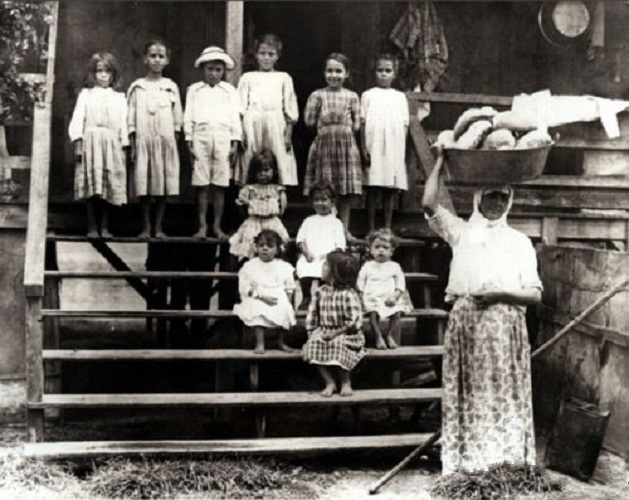 THere is a very famous photgraph by ray jerome baker of Portugeuse girls on a plantation (Maui) and teh payroll books I studied for Lihue plantation in Kaiau also listed the payment of women and children by day. Cristiana, I was able to talk to a couple of relatives on the plantations. One cousin’s wife was in her 80s when I interviewed her. She told me about when she was a child they were hired to catch rodents in the sugar cane fields. That was probably the 1930s. So, children were employed well into the 20th century.